Hobbes CLEANSSETTE – Fiber Optic Connector Cleaner is a new design optical connector cleaner on today’s market. The concept of CLEANSSETTE – Fiber Optic Connector Cleaner by using both sides of cleaning reels able to reduce the reel cost but also more environmental friendly. It is suitable for the most common connector types. It is the most suitablecleaning tool for on–site staff and inspection staff. 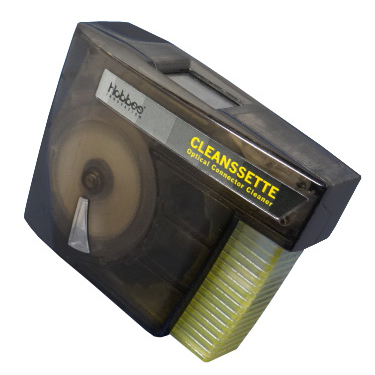 CLEANSSETTE – Fiber Optic Connector Cleaner features a 32 feet densely woven dry cloth reel which provides superior cleaning performance while minimizing static charge, ensuring that debris is not instantly attracted back onto the fiber tips. The 32 feet cloth can be used over 450 times. 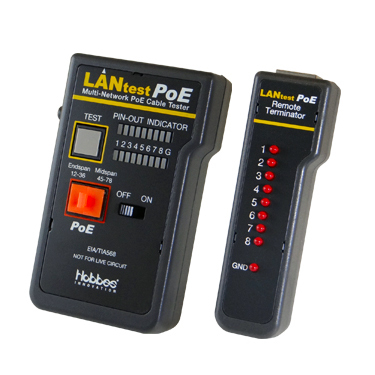 LANtest PoE – RJ45 Basic Network Cable Testers & PoE Tester is a newly designed and very practical tester that can easily read the correct pin configuration of 10Base-T cable, 10Base-2 cable, RJ45/RJ11 modular cables, 258A, TIA-568A/568B and Token Ring cable etc. by comparing one transmitting end to the corresponding receiving end. With the remote kit it can test cable installed far away either on wall plate or patch panel. It is easy to verify the cable continuity, open, short and cross-connect. With PoE test function, user can simply connect the PoE jack to an active network, the PoE indicator lights up when it detects the voltage from the existing network. It can identify the type of PSE simultaneously. handyOTDR – Fiber Length Meter & Fiber Visual Fault Locator With Data Storage is a portable high–efficiency fiber fault locator. It is designed as a fiber fault locator with fiber length measurement and with Visual Fault Locator(VFL) function. 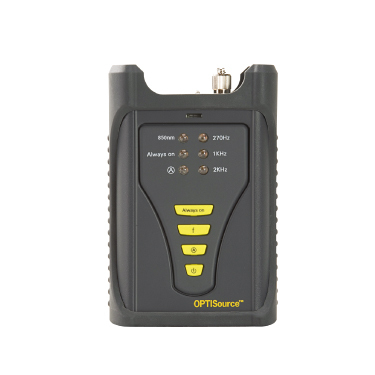 It is widely used for verifying a signal path, certifying new fiber installations, fault finding in fiber optic networks. 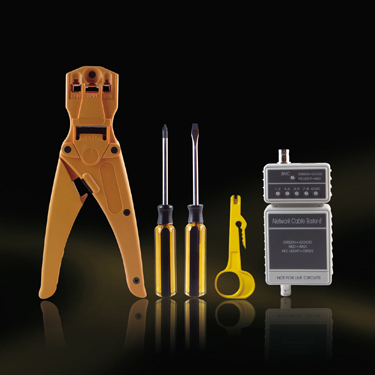 Hobbes handyOTDR – Fiber Length Meter & Fiber Visual Fault Locator With Data Storage is designed for maintenance in telecommunication and CATV fiber optic measurements. 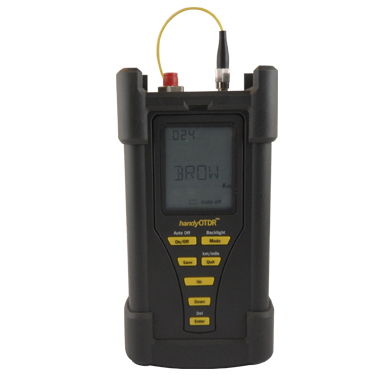 The unit locates fiber faults, and displays the results on an LCD display. In addition, our Visual Fault Locator(VFL) has the capability to save, browse, delete, and upload data to a PC (via USB), though it also contains a large built–in memory that can store up to 300 results on the device. The OPTISource – MM 850nm Fiber Optic Light Source is a high performance stabilized source that is widely used in fiber network installation and maintenance. New version of OPTISource – MM 850nm Fiber Optic Light Source can provide the single wavelength output according to specific requirements including 1310/1490/1550/1625nm wavelength for the single–mode and 850/1300nm wavelength for the multi–mode. With replaceable FC, SC, ST connectors and SMARTFiber - Optical Power Meter or SMARTFiber Pro - Optical Power Meter With Data Storage, this choice brings you an economic and efficient solution for the fiber optic network tasks.